The BIG LIST issue dated August 10th in N. Ireland carries and interview about the current single - "Love Leave Your Mark on Me". 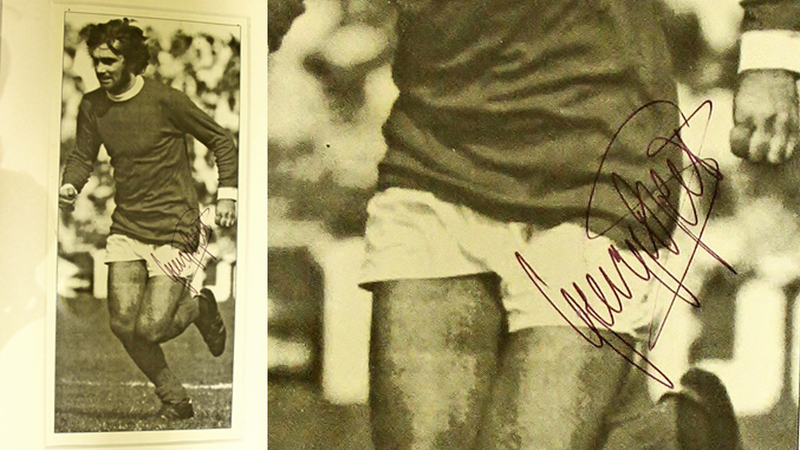 SKY Italia are planning an article about us to follow up on the Federico Buffa Racconta: George Best documentary. "George Best City" was in the sound track over the last scene & credits. Here's a dinner menu autographed by Georgie. It's the pride of my collection.